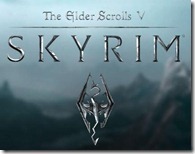 Skyrim PS3 Update Now Live! Skyrim PS3 Patch To Fix Lag Coming Soon? So I’m tired of waiting for this damn game to get fixed. I knew I should have bought the Xbox 360 version, yes it has it’s share of problems but at least it’s playable. I haven’t played Skyrim since before Christmas I think and that’s because it’s just unplayable with the lag. Now Bethesda says a new patch is coming soon to fix the lag issue. Isn’t that what they said about the last patch? I’m ready to just go and grab the PC version and take the PS3 version over to GameStop and get something else entirely. I’m really sick of this, I paid $60 I think the day it came out and haven’t really been able to play it or enjoy it. How the hell did Bethesda NOT know about the lag issues on the PS3? Don’t they put the games through testing? Why do we put up with companies releasing such buggy and crappy games? Ok the game itself isn’t crappy, but what’s going on is. I should have been able to play the damn game from day one and not have had to wait several months for a patch to let me play it. 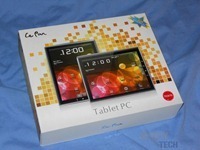 The original Le Pan won’t be getting any Android OS upgrades but will receive firmware updates when needed. 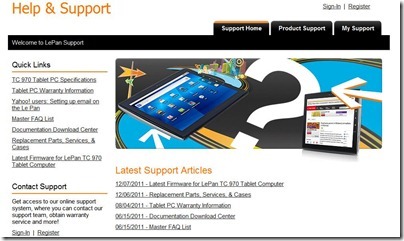 The TC970 does not meet the minimal specifications needed to run the new OS. 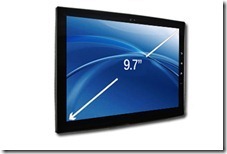 It is capable of running 2.3 however the entire software of the tablet would have to be rewritten. 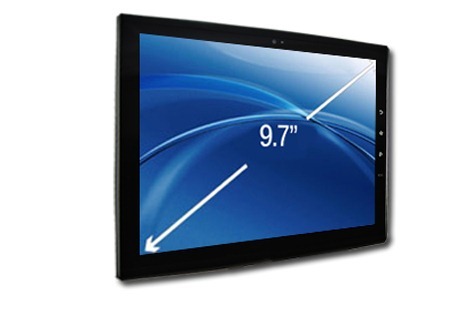 We really apologize that the tablet cannot be upgradable to anything past 2.2 at this point. 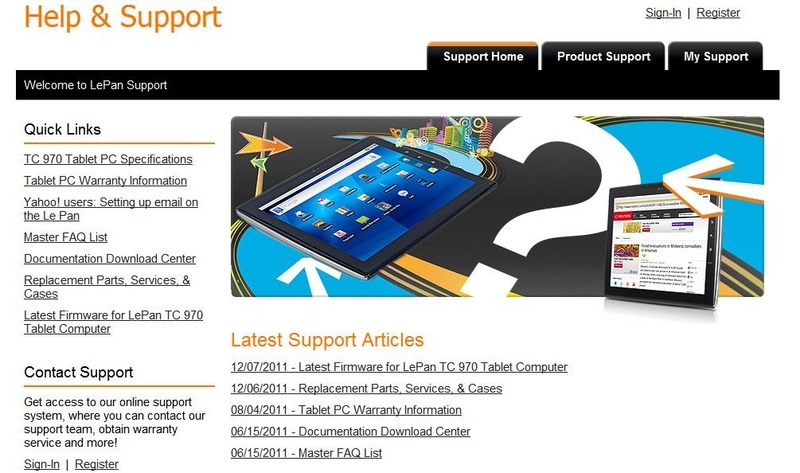 So no Gingerbread or anything new for the TC 970, but at least they’re still going to support it. Ok, it looks as though Le pan has made it much easier to update your TC 970. 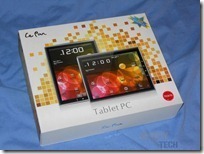 I love mine and still use it often, it’s once of the best Android tablets out there and best of all it’s inexpensive. Get one, you won’t be sorry! Then you’ll see links to download the three files, Firmware, Applications and Instructions. 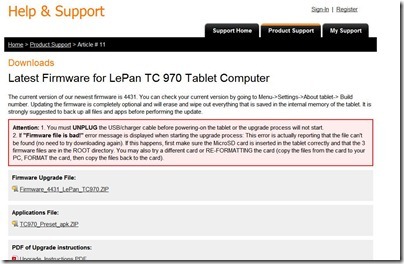 It’s very simple to do but follow the instructions and make sure you UNPLUG the USB/charger cable before powering-on the tablet or the upgrade process will not start.!! Right now Amazon has the Le Pan TC 970 for $229.99, which isn’t bad at all. So I posted a while ago about this stupid error from Netflix and Silverlight, back in June of last year actually, and there’s still no real fix for it. I have though figured out a way to use the new Silverlight 4 and not get the error and not have to revert back to SilverLight 3. The fix is quick and easy just rename the mspr.hds file to something lese like oldmspr.hds. Of course on Vista and XP the files location is elsewhere, but it should be right under Application Data in a similar location. You could also just search for the folder or file to find it and then open the location. Renaming that file seems to fix the problem for now. When you rename it Windows will create another one in the folder actually. So it might fix the problem and it might not. As of right now though I’m watching Netflix with no issues, so I guess I’m temporarily happy until the next update of Silverlight anyway. Why is that 9 out of 10 times I run the Windows Update and restart the computer something is wrong with it? I love Windows, always have, very happy overall with Windows 7 but not with the update process. The whole Netflix and Silverlight thing still pisses me off and every time it updates Netfllix stops working and I have to re-install Silverlight version 3. I installed updates late last night, then went to bed. I woke up this morning with no internet on my main computer. I thought it was the internet connection itself as we just got a lot of snow, snow on the lines, tress etc could cause an issue. I checked my netbook and DSI and found they had an internet connection over wireless. Looking at the little icon in the bottom corner tells me that yes I do have internet access. The weather sidebar gadget updates so I have access right? Nope, nothing else will connect to the internet or even connect on my home network, I can’t even see my router. Spent 3 hours trying to figure it out. The fix I found was to go and get the network drivers for my motherboard and re-install them. That seems to fix it, but I restarted my computer twice and each time I’ve had to install the drivers. I can’t figure it out, it’s annoying me to no end.